Contract research and manufacturing organisation, Foster Delivery Science, and manufacturer ProMed Pharma have announced a commercial partnership to provide comprehensive contract services for pharmaceutical and combination device applications. 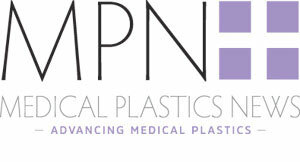 The partnership will see the companies offering thermoplastic and silicone formulation development through production of drug delivery components. Foster Delivery Science focuses on the blending and extrusion of melt processable polymers and active pharmaceutical ingredients (APIs). These include water soluble, bioresorbable and biodurable thermoplastic formulations. ProMed Pharma offers advice in silicone formulation technologies, and is a provider of injection-moulded drug delivery components. The companies’ collaboration will entail marketing, business development and technical services for a comprehensive range of drug delivery materials and processing technologies.